This app is a waste of money and time. Also, you can contact the developer but NOT to truly trouble shoot with you. They will blame who ever is sending the fax ... even if it’s coming from a reputable source (like the government). You can not extend time without paying. But you won’t have to worry about that because you’ll never get any pages of the fax. It might work if you need a quick 1 page fax? Idk But it won’t work if you need multiple pages. More than anything THE CUSTOMER SERVICE IS TERRIBLE... and that is everything. I wish I could find criticism in using this app, but I can not. It sends and receives faxes, which is why I no longer need my landline phone line to fax from my printer. This saves me so much time. Love this app!!!! Needed to receive a document for a deadline for my sons higher education. I received it in my home and printed it out within minutes! Love it! The cost to receive a fax is VERY EXPENSIVE. Not worth it. Find another alternative. I spend the $4.99 expecting for this service to be quick and easy however the fax instead of being received and being able to see it, it kept incoming NULL and never received the fax. I was only willing to pay this amount because it was an important document, I end up having to download another app which was actually quick and easy, it also had a FREE trial period for 7 days. 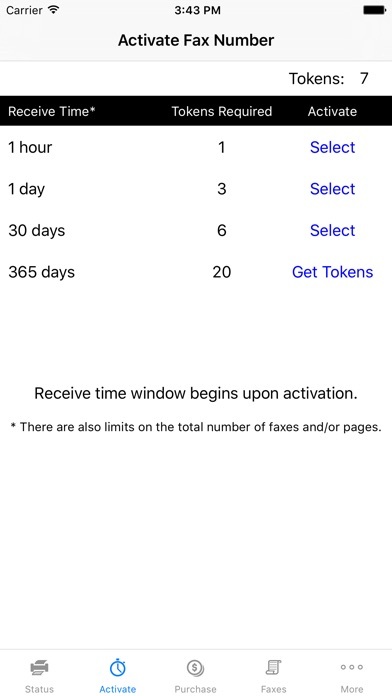 If you download iFAX APP I promise you is way better than the Fax Receive app plus quick and easy to setup and received or send that much needed Fax document! 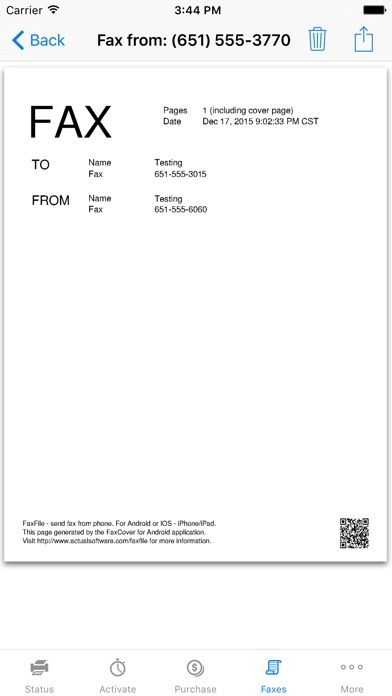 I highly recommend FaxFile (to send a fax) and Faxreceive (to receive a fax). The “foxes” are the best faxing apps on the internet. In contrast to the competition (see paid ad that is probably listed above this in the search results), the “fox” app directions are easy to follow, tokens are fairly priced, and this is a competent and legit company. 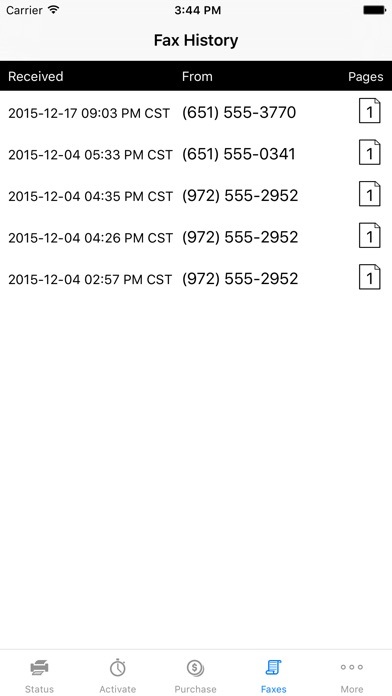 I’ve had great experience sending and receiving numerous faxes over the last couple of years using my iPhone. 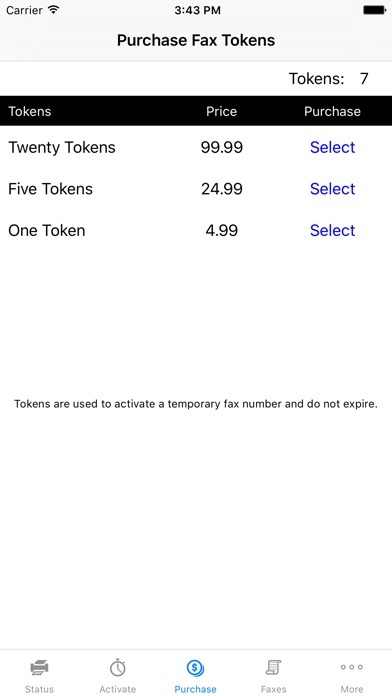 I downloaded this app to receive a fax. 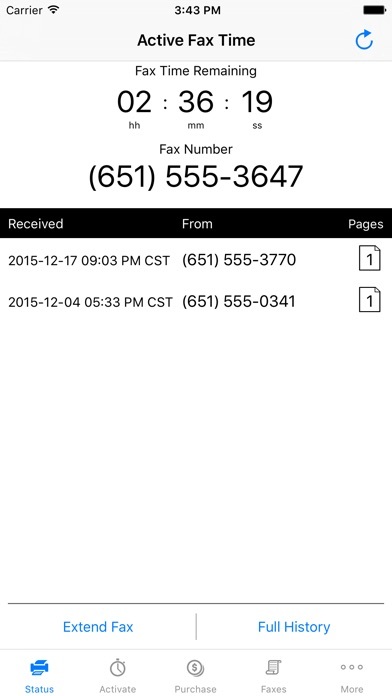 I was not able to get the pages from my fax had been sent 6 times by my sender. The only form of support was through email. I sent several emails prior to my time running out and no one returned my messages or helped out. Very upset with this app and want my money back. Can we get our own number and just have faxes come whenever? I paid for an hour and wasn’t sure if it were enough time. If we get our own number and not have to watch the time then the app is awesome. If not, then I am somewhat disappointed.